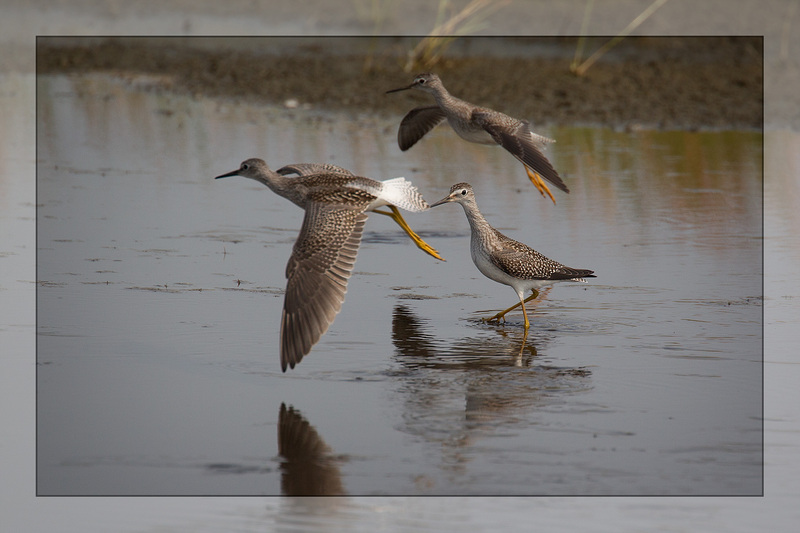 when three more Yellowlegs flew in. However, the newly-arrived Yellowlegs were so much smaller that at first I questioned if I had been wrong and one or the other wasn’t a Yellowlegs at all. 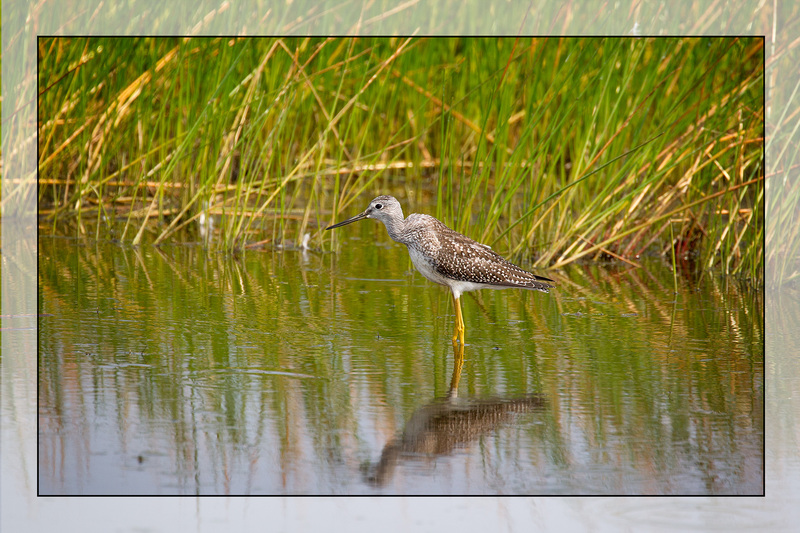 It wasn’t until I got home that I realized how much bigger the Greater Yellowlegs (the lone bird in the first picture) is than the Lesser Yellowlegs (the two in the second picture). I’m still not sure that I’ll be able to distinguish one from the other unless they are actually near each other, as they were here. a bird I have never seen before, and it appeared to be acting a lot more like the Wilson’s Phalaropes I’ve seen before than the Red-Necked Phalaropes I’ve previously observed. 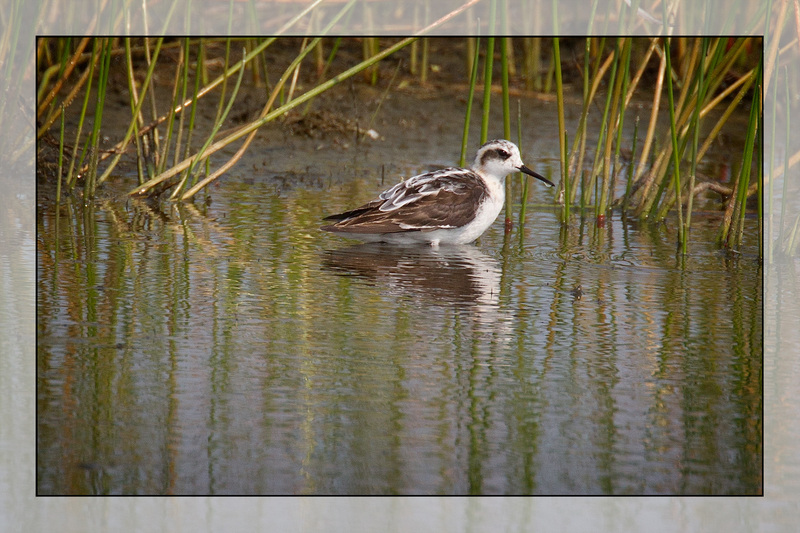 I’m embarrassed enough that I doubt I’ll make that mistake if I ever see a juvenile Red-Necked Phalarope again. of these birds that has kept me birding all this time. I think it’s the sheer beauty of birds that makes us keeping wanting to go to their habitats and take a nice long look at them. 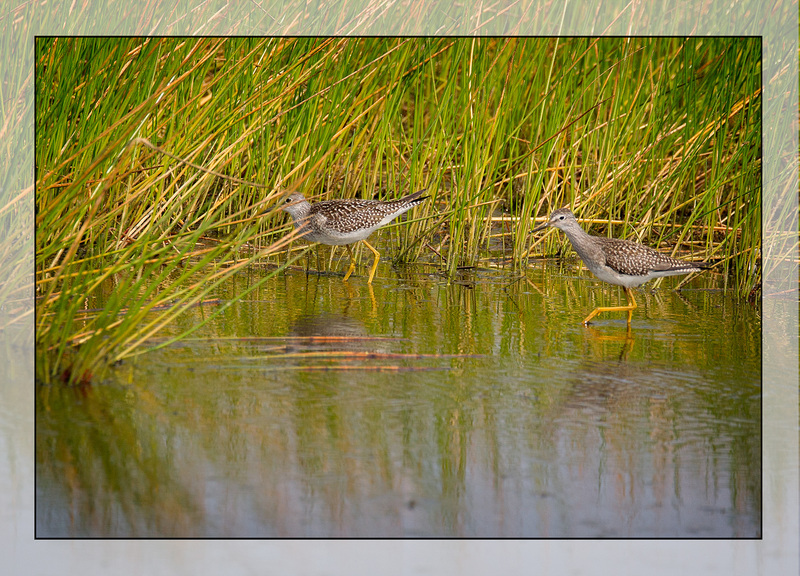 Love seeing those Yellowlegs and the juvenile Red-Necked Phalarope. I tend to agree with that, but the more I bird the more I like it, which suggests something more may be going on. I’m just glad you do it and take pics! !